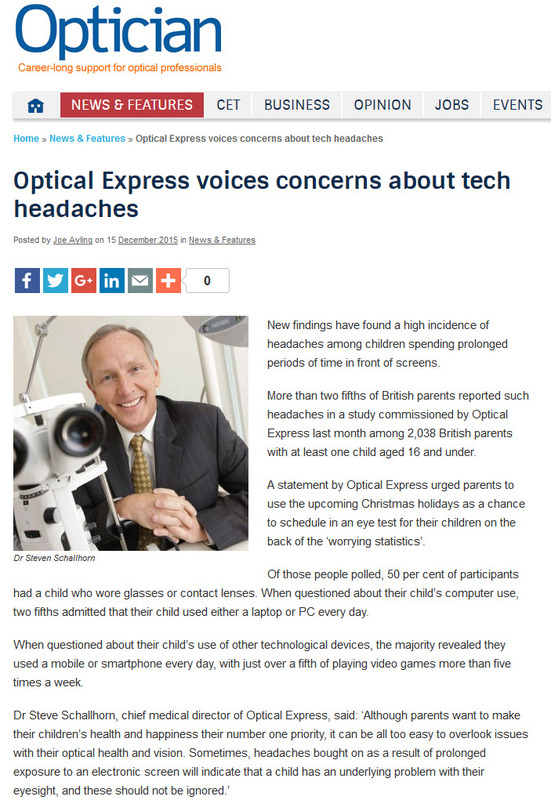 Today's coverage round-up comes for our eyecare experts Optical Express, who recently carried out reserach to reveal that more than two fifths of British parents said that their child suffers from headaches when using screens for prolonged period of times. As eyecare experts, Optical Express have released a warning about the dangers of 'tech headaches' and have urged parents to take their children to have an eye test before the problems escalate. This was covered on OpticianOnline.net.